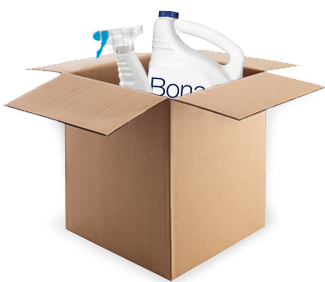 Save time cleaning with a good maintenance routine and Bona’s quick-clean solutions. 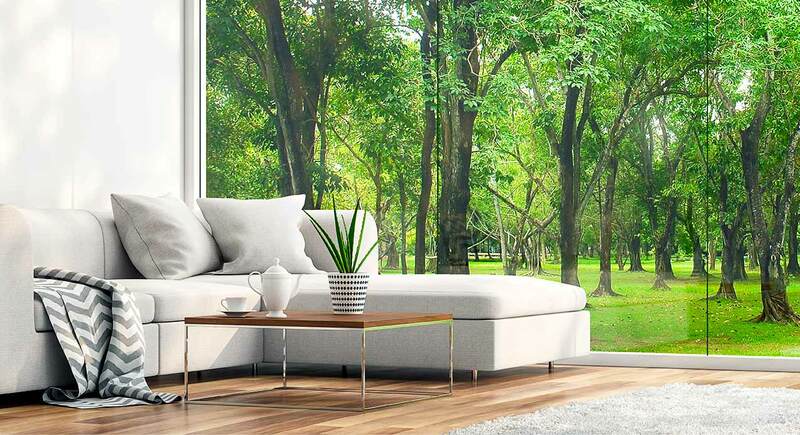 Unless you’re a person that finds cleaning relaxing, many people will want to learn how to clean smarter, not harder. There are lots of cleaning tips and tricks out there, but one of the best ways to clean your floors better is with the right set of tools. No DIY hack or cleaning trick will be better than a maintenance routine that you commit to following. The real secret is that if you maintain a good cleaning routine, the time you spend cleaning decreases over time. When it comes to cleaning floors fast, there are only two basic steps: dry dusting and wet cleaning. Dusting helps to remove large particles of dirt and debris that could scratch and potentially harm your floors, and wet cleaning removes the smaller bits and leaves your floors clean. People often expand these two steps into three or more depending on the tools they have, but essentially, these two steps will do the trick. A divide and conquer approach is best when cleaning floors. 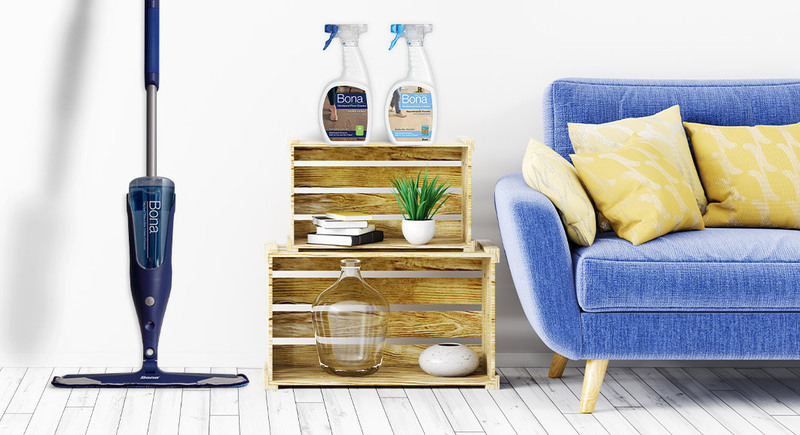 This helps make cleaning more efficient and more effective since you’re not pushing around all the dirt and debris you’re cleaning up. When it’s time for wet cleaning, a string mop and bucket aren’t needed. 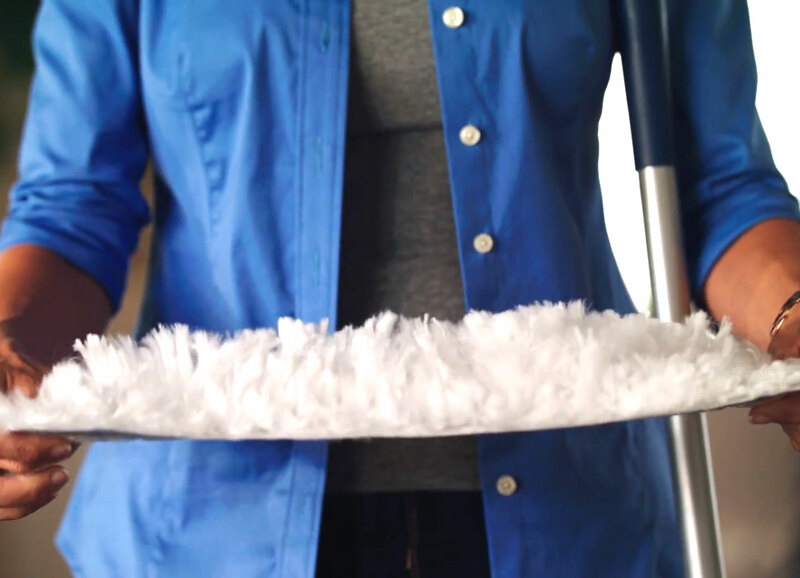 Use a cleaning pad that will Velcro on the bottom of your mop and has cleaner already infused in the pad so there is just enough liquid dispersed on the floor. Too much liquid on floors can damage them. Do you have the right habits to make quick-cleaning your floors a reality? Here’s a basic maintenance routine to follow to have your floors looking their best. Deal with spills and other unexpected messes immediately. Dry dust your floors daily. Wet clean your floors weekly. 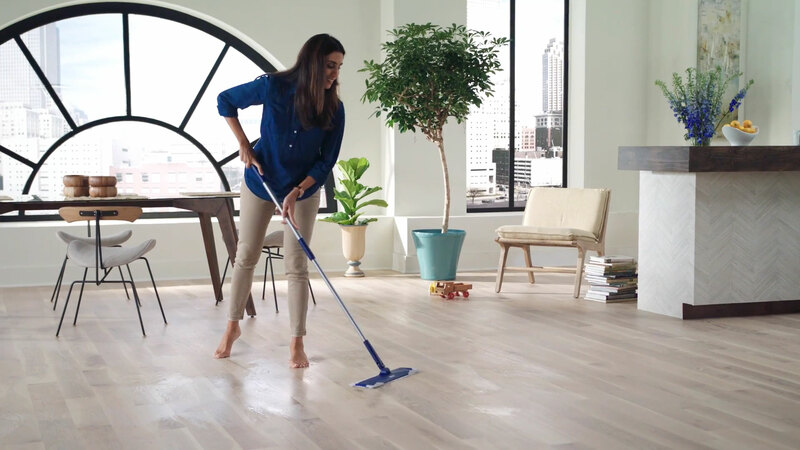 This easy routine will do a lot to protect your floors and make cleaning a breeze. For other jobs like polishing and deep cleaning your floors, those tasks can occur every 2-4 months, depending on floor traffic. With time being so precious, every minute matters. 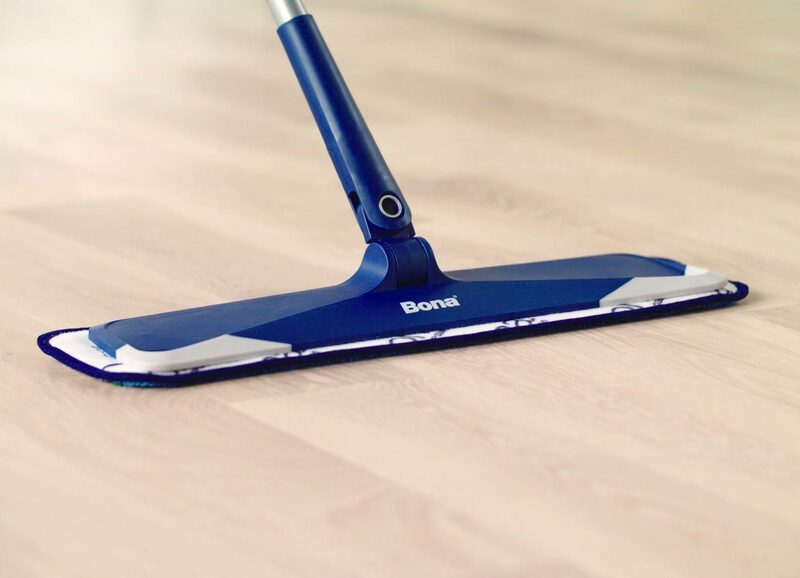 If you’re using a Bona Premium Microfiber Mop, then you’ve got the only tool you need to keep floors looking great. For even quicker cleaning, Bona Disposable Dusting Cloths and Wet Cleaning Pads save time and effort with ready-to-use pads that easily vanish when the job is done! Bona offers many floor care options to get your floors looking their best. 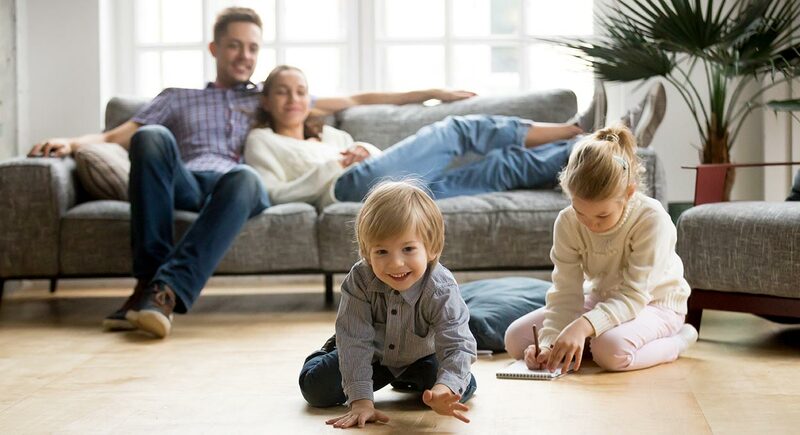 Whether you have hardwood, laminate, stone or tile, Bona floor cleaners provide effective and safe solutions for your home, little ones and our environment. Find the right floor care tools that work best for you.